This past Spring Break the family and I traded in the Colorado snow for the warm sun and sandy beaches of Costa Rica. 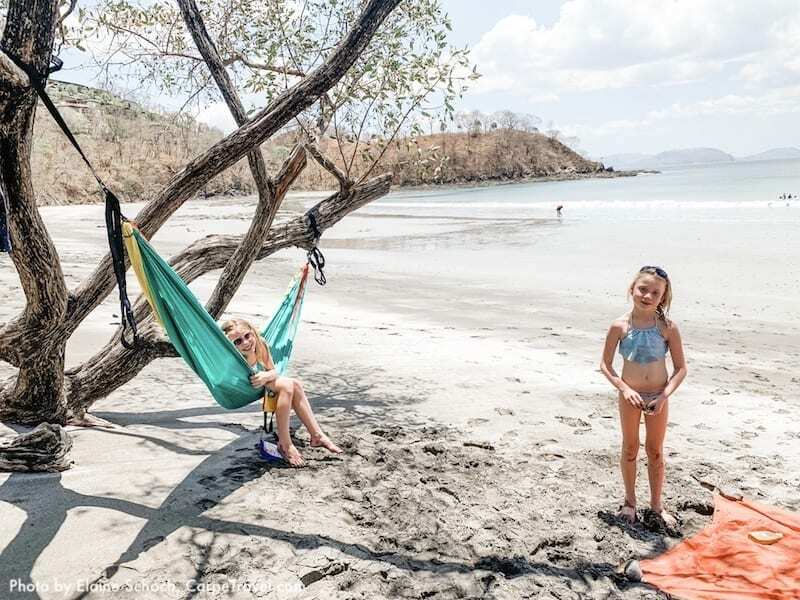 We were headed to the Guanacaste province in northwest Costa Rica, which has been nicknamed the “golden coast” given the plethora of beautiful beaches that line the shores. It definitely lives up to its nickname. 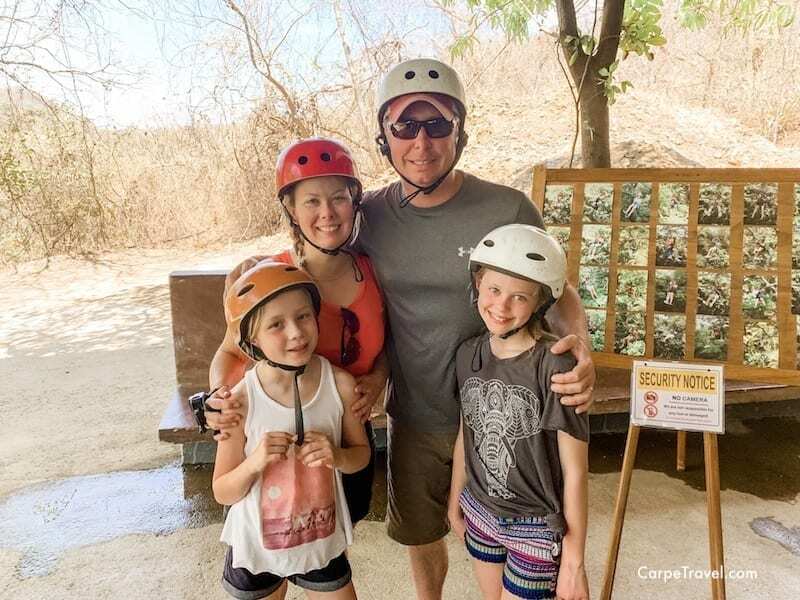 During our visit we stayed at two locations in Guanacaste – The Westin and Las Catalinas. I tend to get bored easily in one location after a few days – something that is rubbing off on the Princesses – so changing things up is always good for my family. Las Catalinas was our second stop in Costa Rica. We definitely saved the best for last. This small beach town is tucked away along the shores of Playa Dante. 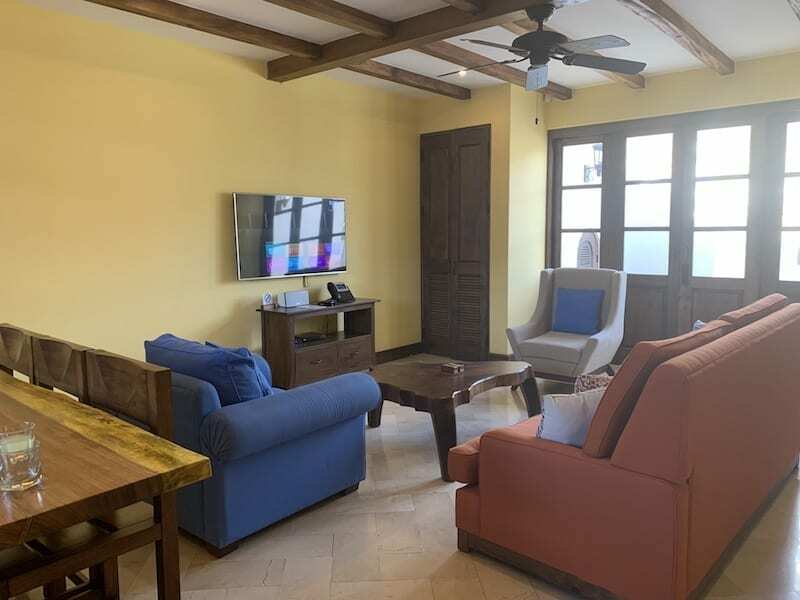 It’s a newer development that boasts a fully walkable beach town with several amenities to give you a taste of Costa Rica while also experiencing a resort-esk type of feel. I’ve created the following guide and review to help you plan your stay at Las Catalinas. Cheers and Pura Vida! 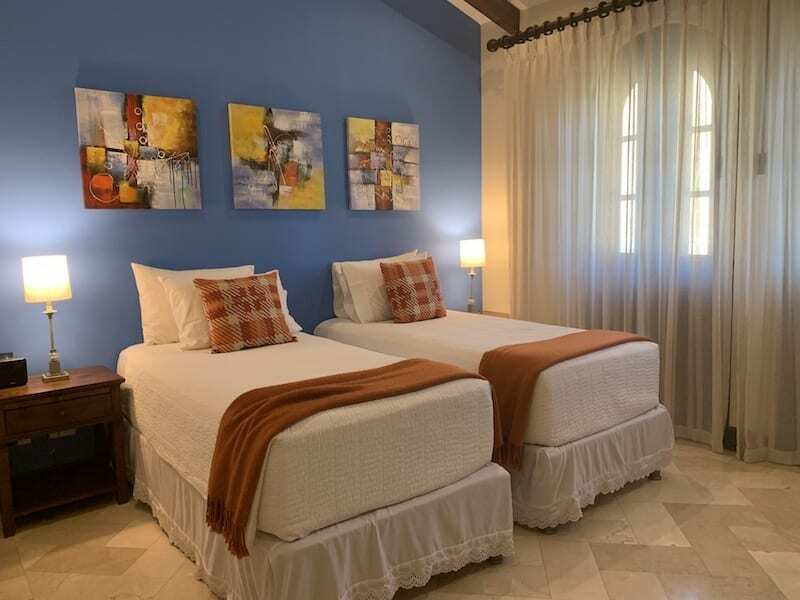 There are a variety of vacation rentals in Las Catalinas for short or long-term stays. From cozy flats to spacious villas. There is also a new hotel that has opened up in the Las Catalinas beach town. The hotel offers a roof top pool and delicious restaurant. Many of the villas in Las Catalinas have their own swimming pools or plunge pools. We stayed in a two-bedroom condo with a full kitchen and amazing patio. We didn’t have a pool but boy did we have a view! I think the patio might have been my favorite part of the entire property. The couch swing, the dining table, grill and outdoor kitchen and the view might be why. 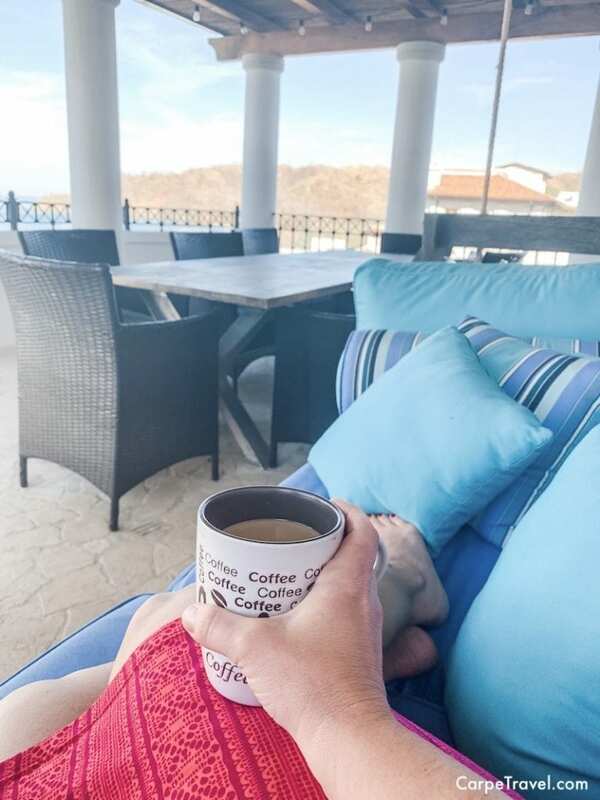 I adored beginning my day on the couch swing with my morning coffee and ending the evening with the stunning sunset, sipping a glass of Chilean Chardonnay. 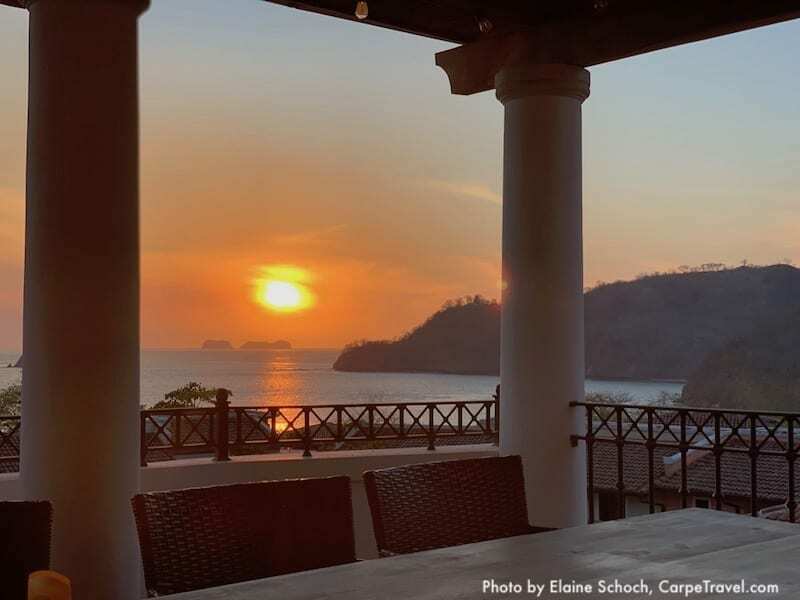 If you can’t find lodging in the Las Catalinas beach town or simply want a more seclude spot, check out Casa Chameleon at Las Catalinas. 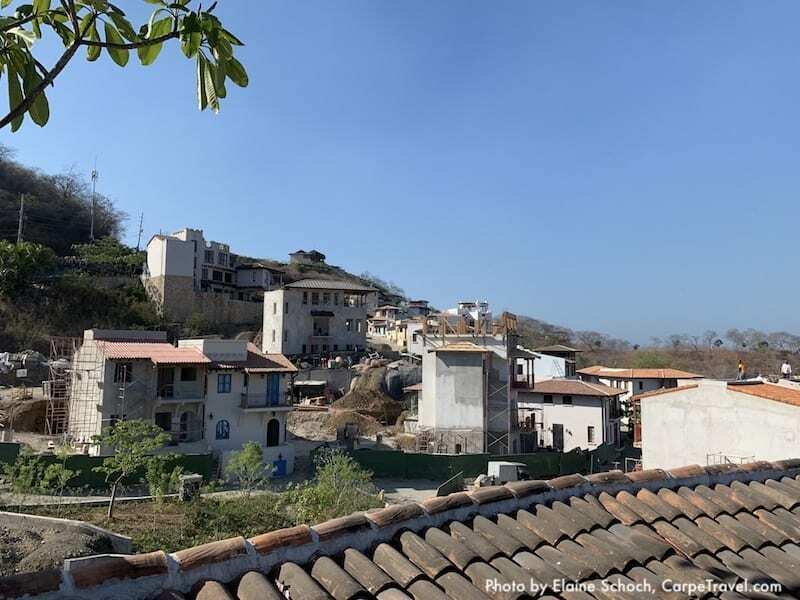 This resort is perched high on the hill-top above the town of Las Catalinas, situated about five minutes away. It offers 21 villas, each with its own personal salt water plunge pool and ocean view. As I mentioned earlier, Las Catalinas is a totally walkable beach town. Vehicles are actually prohibited in Las Catalinas so there is no need to worry about parking or dodging cars as you walk throughout the village. (There is parking outside of the main lobby, if needed.) I loved this aspect given the kids were with us. They could race up and down the streets and squares without concern. Las Catalinas also provides free bikes throughout the village, making getting around much easier if you’re trying to get from one end to the other. Pricing for lodging at Las Catalinas will vary depending on your room selection and the time of year you’re visiting. You will be required to pay in full, depending on how far out you book. And, cancelations/refunds are limited. In other words, you need to make sure you want to stay here and not change your mind. Travel insurance might be worthwhile if you think you may have to cancel your trip. 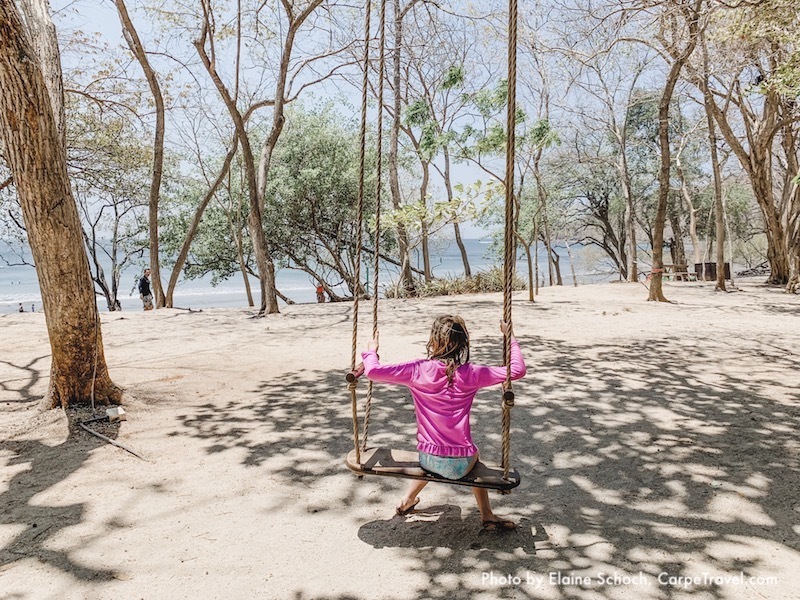 Something to know about Guanacaste if you’re planning to visit is that it’s one of the more developed provinces in Costa Rica catering to tourists and expats so the prices here are going to be higher than the rest of the country. Even higher at resorts. The prices are still reasonable, but I was surprised how similar they were to those I’d find in Denver. For instance, a Starbucks latte for $5 at home AND at the market in Las Catalinas just seemed off. Not to mention a $40 bottle of Malbec from Argentina??? I don’t think I’ve ever paid $40 for a Malbec from Argentina even at home…and I love Malbec from Argentina. If you want to find more cost-effective options for groceries, sunscreen and just about anything else, get off property and into a town. Go into one of the nearby towns where you can find a local market that will have most items for less. Remember though, the entire province is going to have higher prices so you won’t be saving huge amounts but this is one way to cut costs for sure. On a side note, at Las Catalinas I had arranged for the concierge to have a few groceries placed in our condo upon arrival. I wasn’t sure if the market would have what we needed or how late we would be arriving so I wanted to make sure we had breakfast covered for the next morning. I also wanted to have a glass of wine on the patio that evening and wasn’t sure where we could purchase a bottle. I have to admit I loved having this done for us. It was so nice to be there and know we were set for the next few days. But, I did pay for it and given I wasn’t familiar with the portion sizes that were ordered we ended up wasting several things. Actually, I ended up giving the driver who took us to the airport an entire bag of groceries. Hopefully he enjoyed all the rice, fruit and bagels! There are currently three official restaurants in the Las Catalinas beach town. There’s also a small market where you can pick up groceries and sandwiches for a beachside picnic. 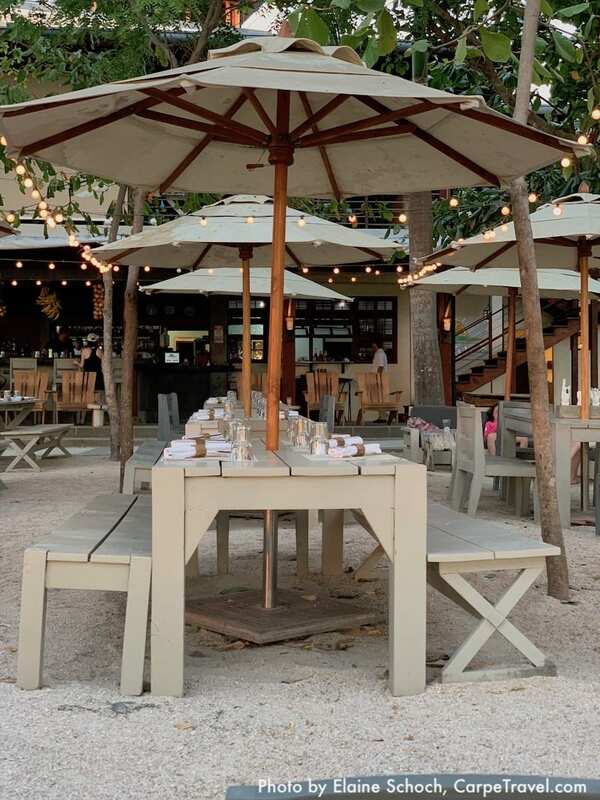 The beachside restaurant – Limonada – is a must. 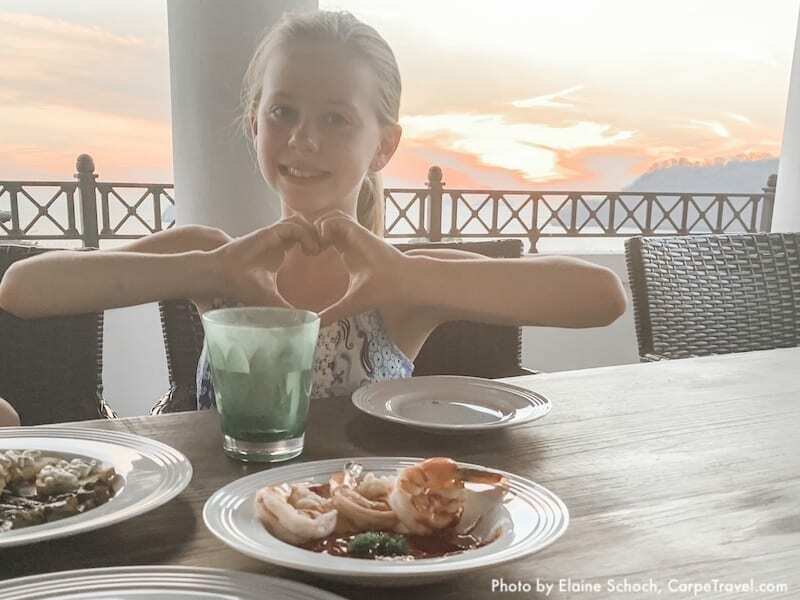 Not only is the ocean view excellent but the food is really good. Make sure to try the red fish and the tuna burger. Delish! 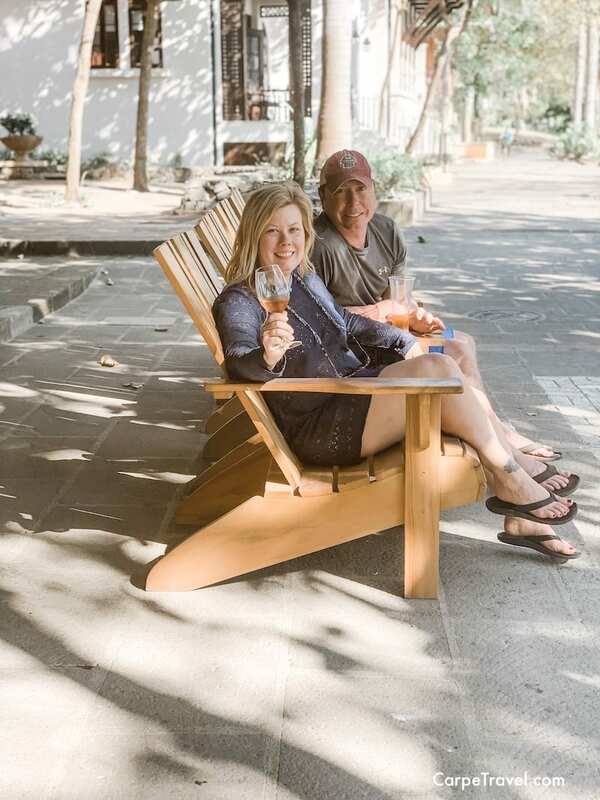 This place is an excellent spot to sit back at sunset and sip it all in with a nice glass of Chilean rose, or a local Costa Rican beer. The restaurant is open to guests staying at Las Catalinas as well as the public. Las Catalinas also offers a Beach Club with a pool and a restaurant for guests staying on the property. The pool offers a lovely ocean view in both the infinity and lap pools. The food here is also quite good. The service is hit or miss. There is a new restaurant that has opened in the hotel as well, Pociana. It’s higher-end on both the menu and price point. The food is delicious and the service was great. If you need to grab swim gear or rent water equipment there are two stores at Las Catalinas to accommodate your needs. The store located in the Beach Club offers more high-end clothing, jewelry and hats, while Pura Vida Ride located at the beach can set you up with paddle boards, snorkeling gear, kayaks, boogie boards and just about anything else. The shop also provides coffee, shaved ice, delicious gelato and a few pastries. There’s also a slack line, giant jenga and great tree swing outside the shop for a little more entertainment. The one thing to say about Pura Vida Ride is that it is definitely American prices. 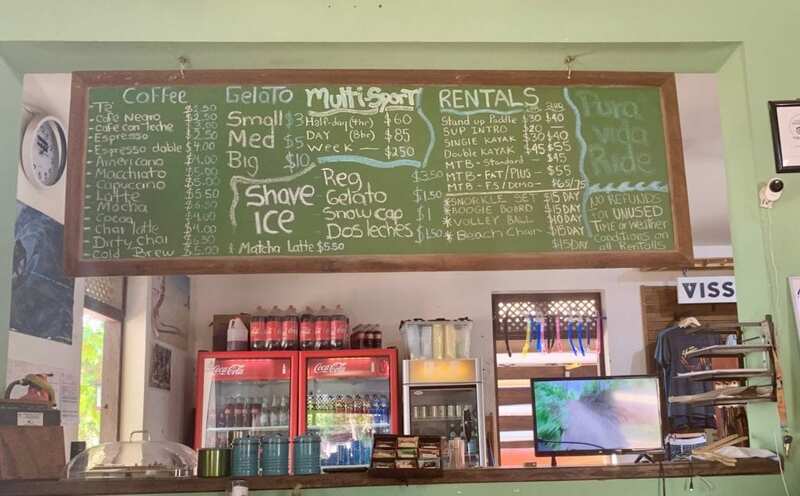 Besides that, the service is great, the guys working inside or super helpful and very knowledgeable about the area and things to do outside of the resort for mountain biking trails, hiking and where to go for snorkeling in and around the beach. 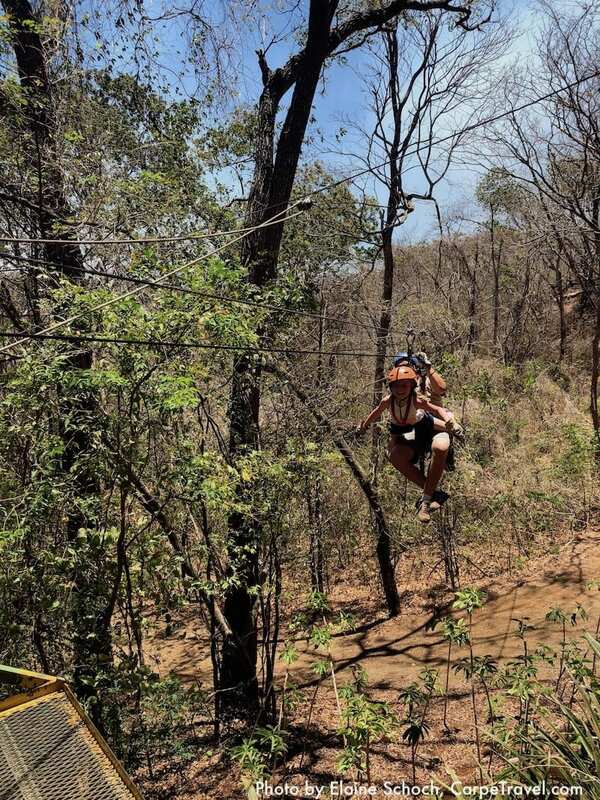 We set up a ziplining tour through Pura Vida Ride, which ended up being awesome. They did a great job in making sure the driver arrived on time and we got to and from the Congo Canopy Tour without any issues. The nice thing was that I could arrange everything with them ahead of time via email. It made planning out our stay a lot easier and more efficient. Depending on when you go to Las Catalinas, you may or may not see the lush tropical forests Costa Rica is known for. During the rainy season (“green” season) – May through mid-November – you will see the surrounding hillsides flush with green tropical forests. In the dryer season – mid-November through April – which is when we went the hillsides begin to look like an Arizona desert. I’m not exaggerating. During out visit in March, it was dry, brown scrub brush. It’s still beautiful with the coastal views and the trails for hiking offer stunning ocean views when you reach the peaks. The one caveat is that you may find yourself breathing in more smoke than you may prefer. 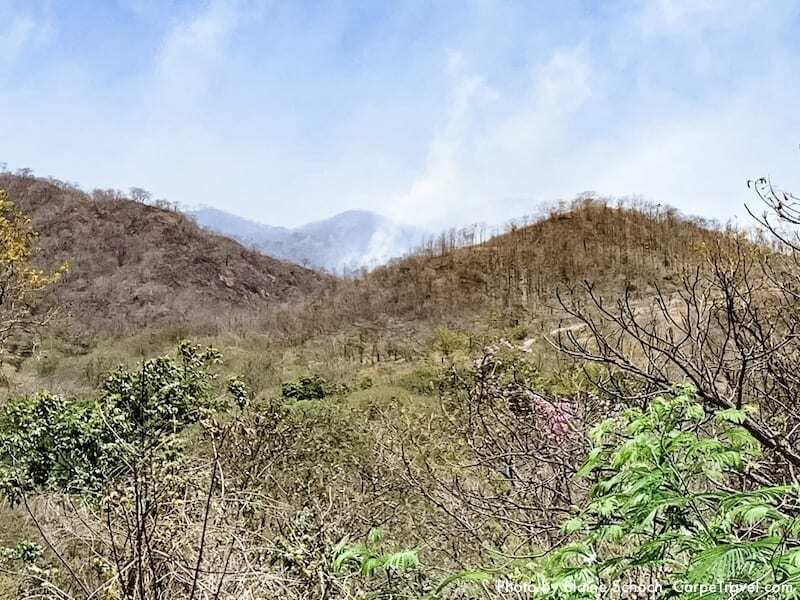 There are small brush fires everywhere around Guanacaste. I found it very strange – and alarming – that none of the fires were being put out. They just seemed to put themselves out after they burned for a bit. During our drive to and from the Congo Trail Canopy Tour we passed several fires that were burning right off the road. Living in Colorado where we have wildfires every summer it was wild to me to pass by a fence post aflame while a herd of cattle was less than half a mile up the road. Ziplining is a Cost Rica bucket list for sure. I personally didn’t want to spend two hours driving to and from for ziplining so we opted to go about 30 minutes out to Congo Trail Canopy Tour. It was a lot of fun and I highly recommend it. There are other nearby options that I found as well, including Diamante Eco Adventure Park. If you have more time I suggest checking this place out given there are a lot of things to do at the park besides ziplining. 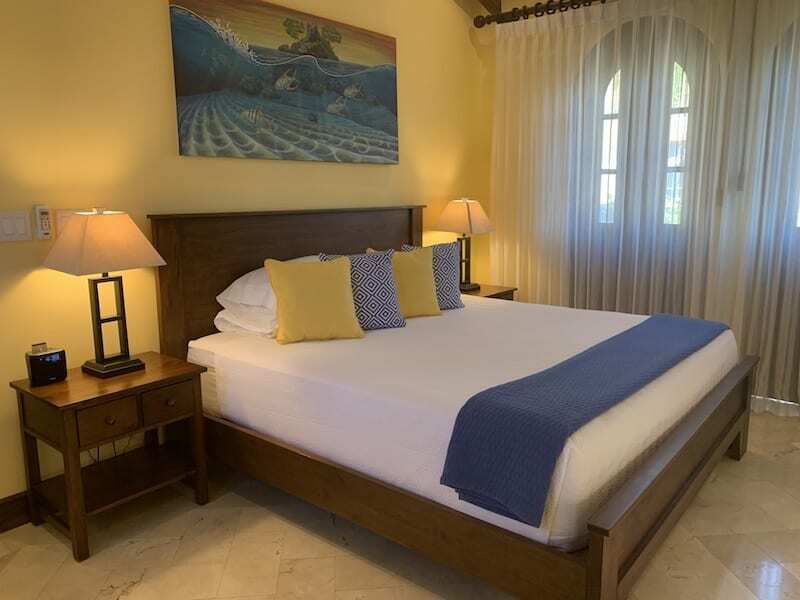 I personally preferred to stay at Playa Danta at Las Catalinas since I could simply walk outside the door, down the street and on to the beach. I strung up the hammock, grabbed a paddle board, then kicked back while the kids played in the waves and on the dark sand beach for hours. It was just too easy not to stay. TIP: Take water shoes. You won’t need them in the water but walking on the dry, black sand is hot!!! I do admit though, Playa Danta doesn’t have the best snorkeling. At least not during the time of year we visited. So if that is your thing then you may want to check out a few other nearby beaches or book a snorkeling tour over to the Catalina Islands. A few other popular activities to check out during your stay at Las Catalinas are horseback riding tours, ATV Tours, and surfing. For the horseback riding, you can set this up with the concierge ahead of time, or head down to one of the more popular public beaches where locals will be onsite offering hour long rides for around $25. If you’re flying in, the best airport is in Liberia. From here it’s about an hour’s drive into Las Catalinas. We had arranged with concierge at Las Catalinas to have a driver pick us up and get us to the property. It was flawless. Our driver was right outside waiting for us when we finally got through Immigration and Customs. Another driver also showed up at 3AM to get us back to the airport for our 6AM return flight. The one thing that I do want to point out is there is a lot of construction taking place at Las Catalinas. The noise can be annoying depending on where you’re staying on the property. This will be short-lived though since all development does come to an end at some point. Just know going into your stay that you may be experiencing some construction noise. Additionally, there is a lot of security on site, which is nice especially given the construction taking place. There is still a lot of construction taking place at Las Catalinas. I loved Las Catalinas and totally want to go back, but not in March. It’s just too dry… November and Decemeber seem to be the best times of year for this area of Costa Rica. 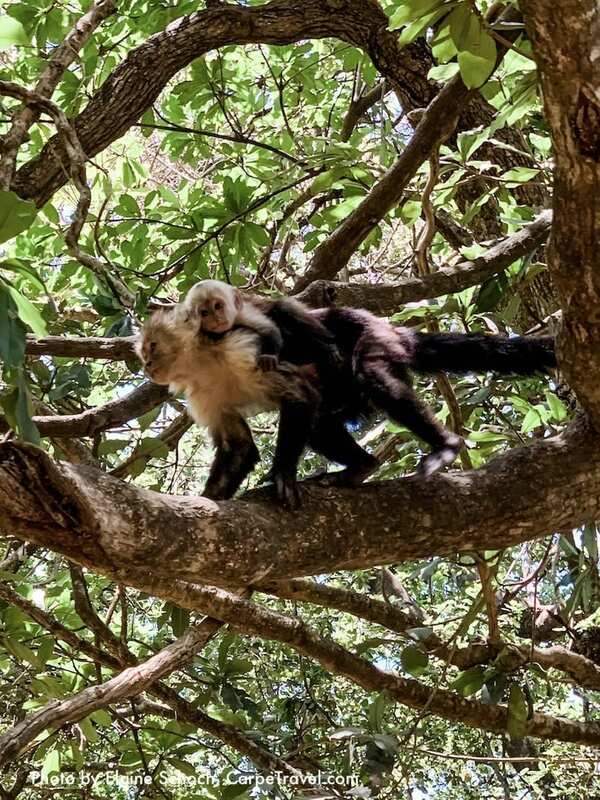 Interested in learning more about Guanacaste, check out a few resources I used to help plan out our visit to Las Catalinas in Guanacaste Costa Rica. I’ve also created the following map noting many of the places mentioned in this article. Cheers and Pura Vida!